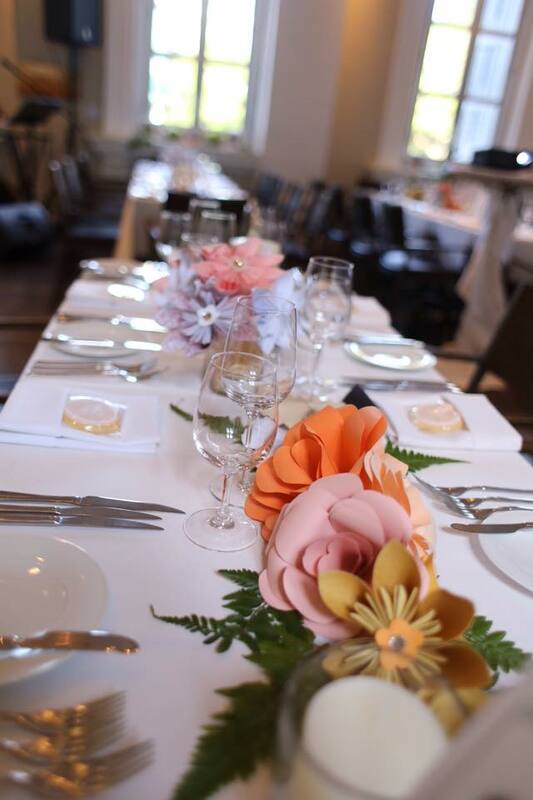 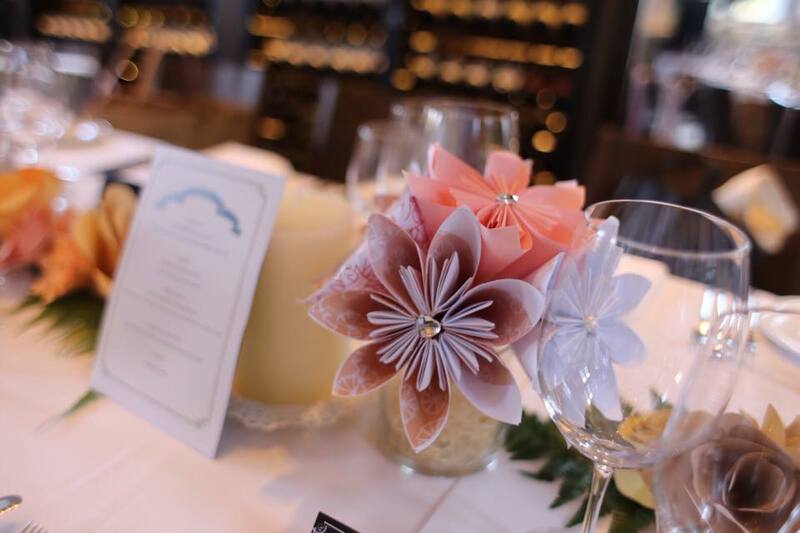 Our first wedding of the year at Flutes was filled with abundant handmade kusudama paper flowers! 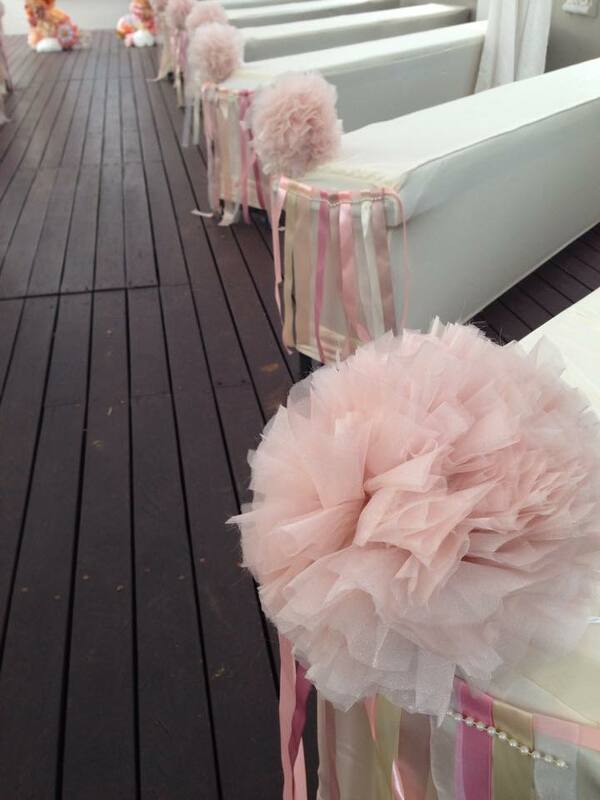 Our bride is a teacher in an International school and she put in all her effort to create boxes and boxes of paper flowers for her big day. 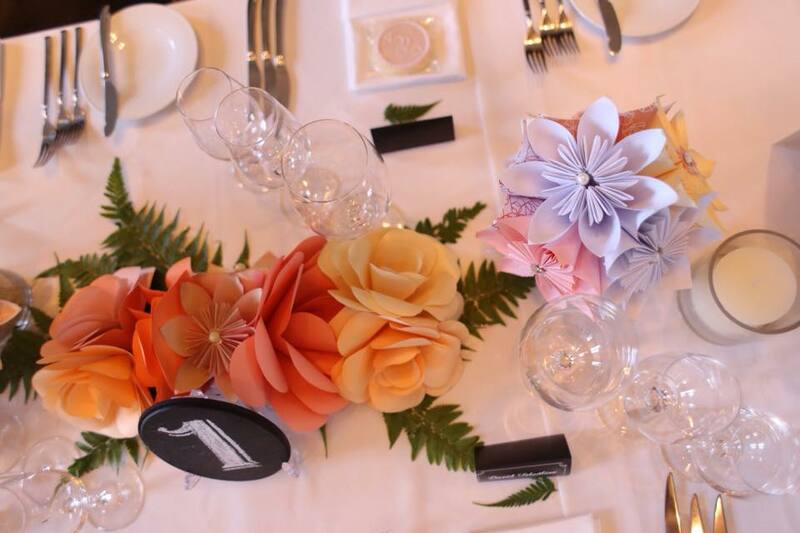 We gave her tutorials that we knew for paper kususama flowers, different types of roses, rosettes and origami flowers. 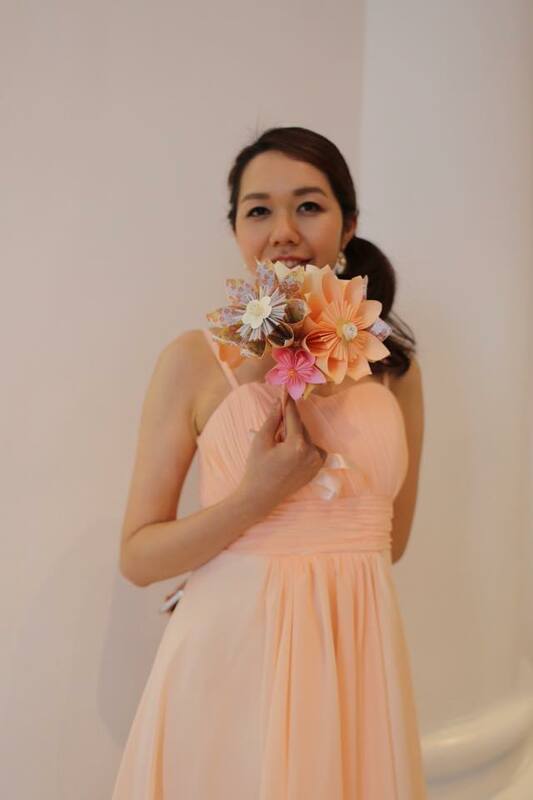 She made her own paper flower bouquet, bridesmaids bouquets, corsages for the groom and groomsmen too! 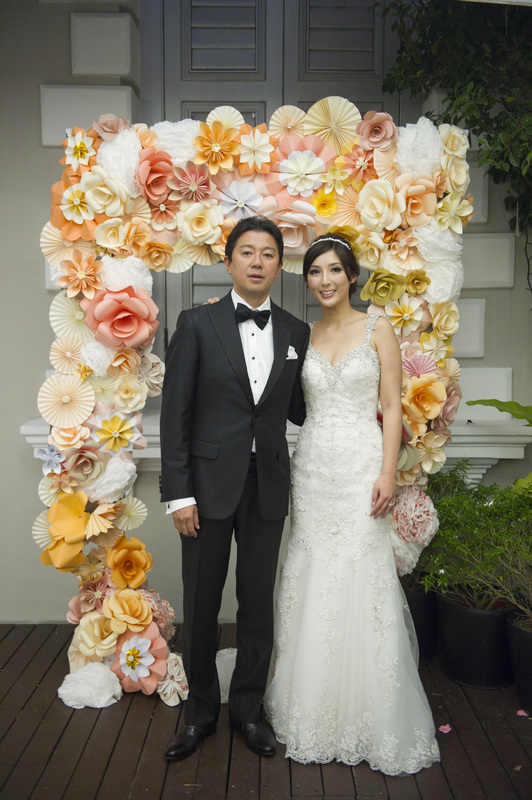 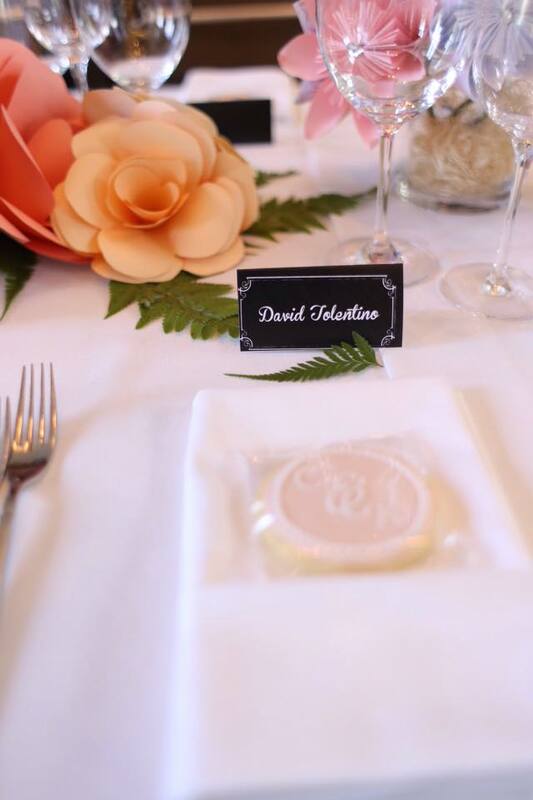 Everyone (overseas guest flew in from Hong Kong, New York and Japan) was amazed at how the paper flowers brought life to the restaurant after we pieced the paper flowers together for the flower arch, table centerpieces and reception area. 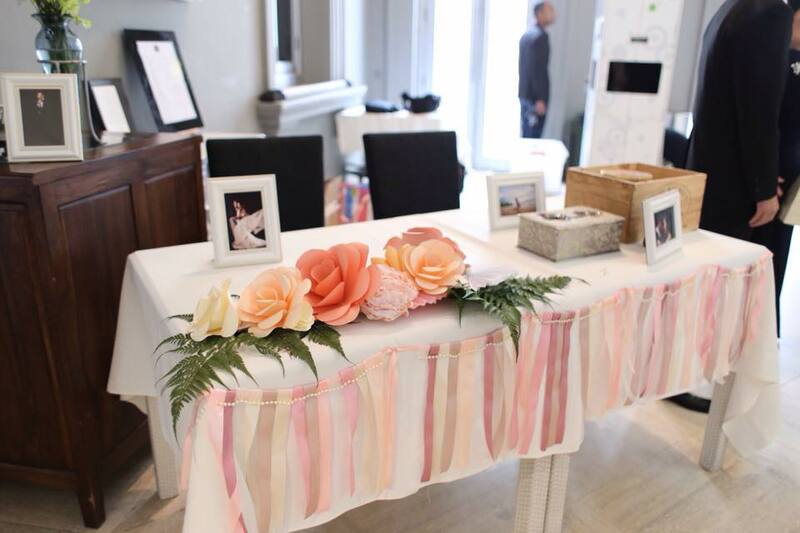 Claudia decided to leave out the fresh flowers just on the week of the wedding and it was a great decision to let the paper flowers steal the show. 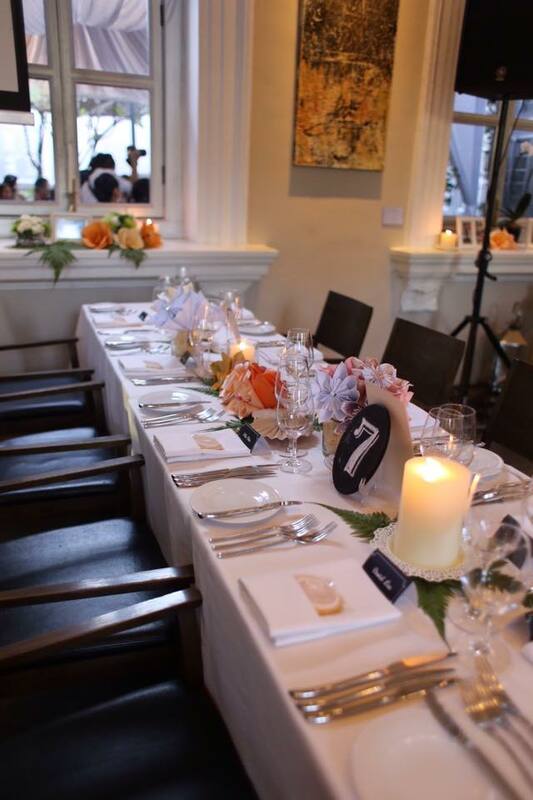 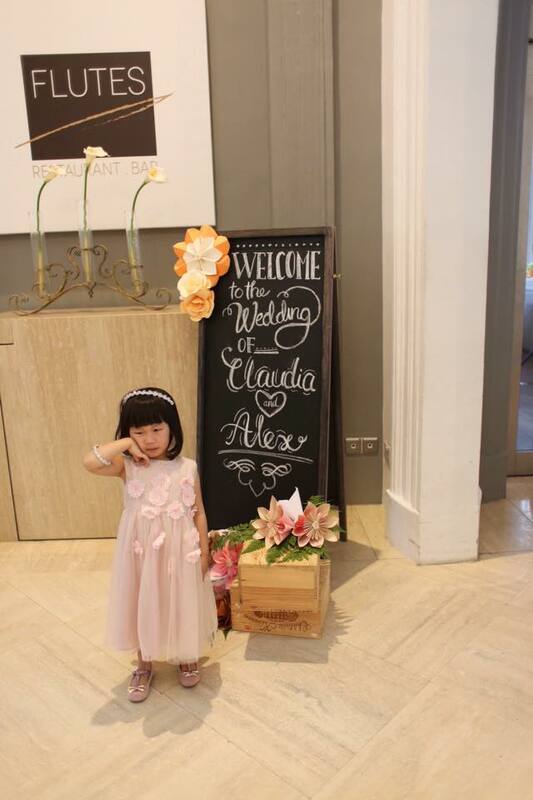 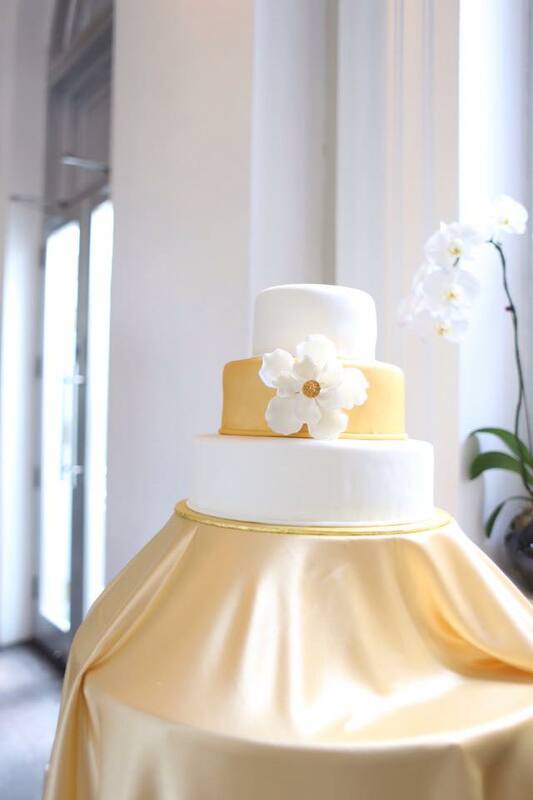 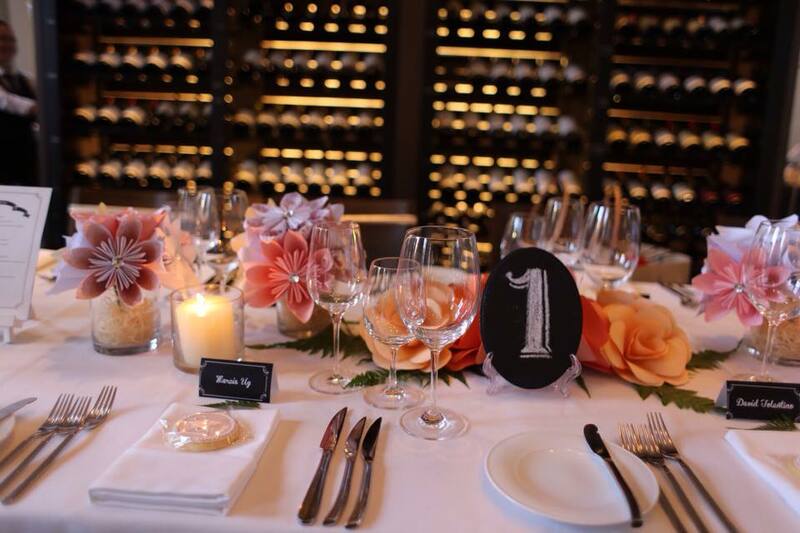 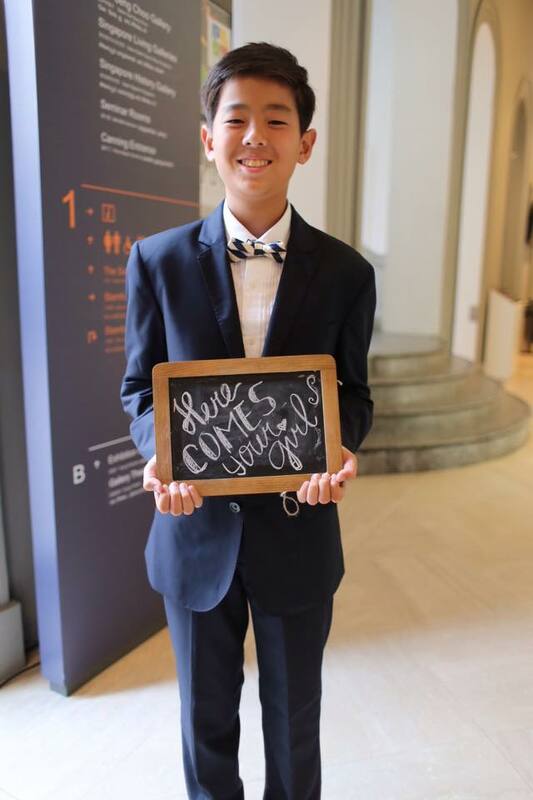 Eunice, our wedding planner made sure the surprise Alex had planned for Claudia was well kept. 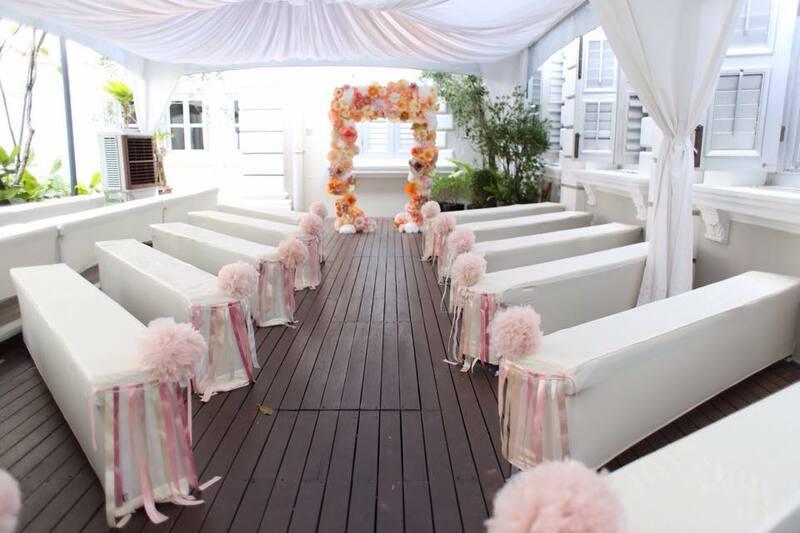 Due to some restrictions, Alex had secretly flown their Pastor in from Hong Kong for their ceremony. 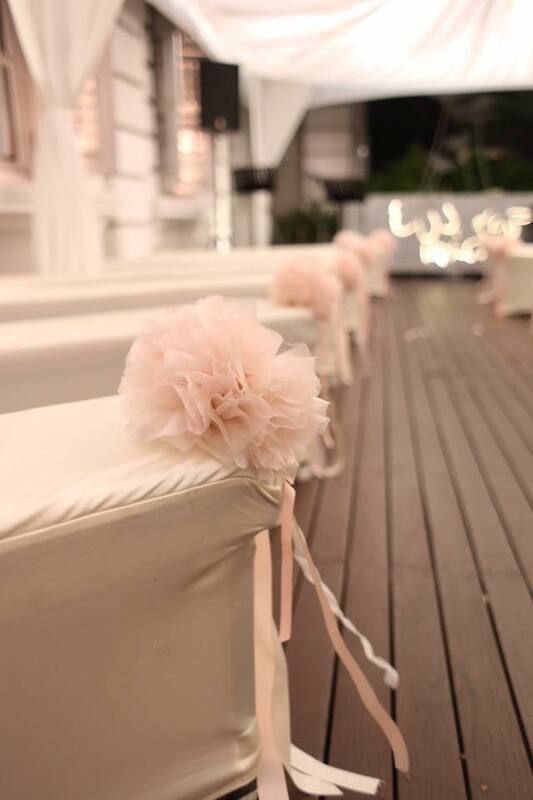 Claudia was kept in the dark until she walked down the aisle and was so touched when she saw that their Pastor was there! 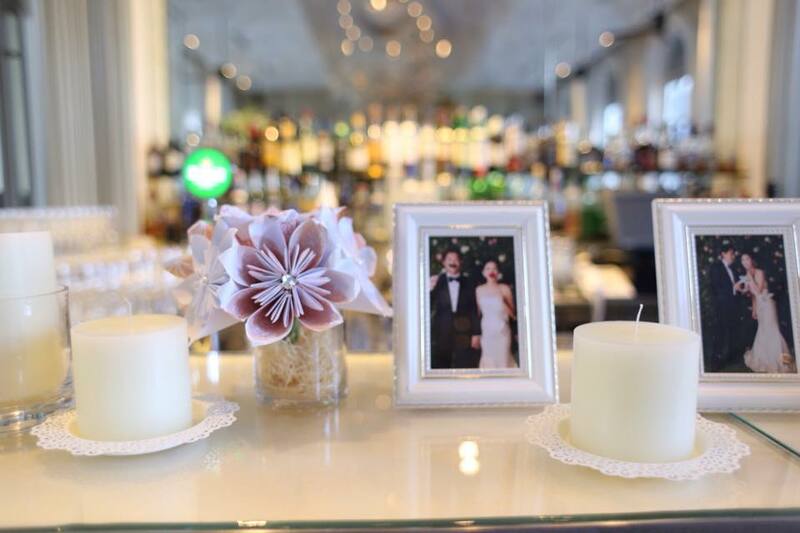 It was a very touching moment when the couple shared their vows and the Rosette Team working behind the scenes were there to make sure it happened. 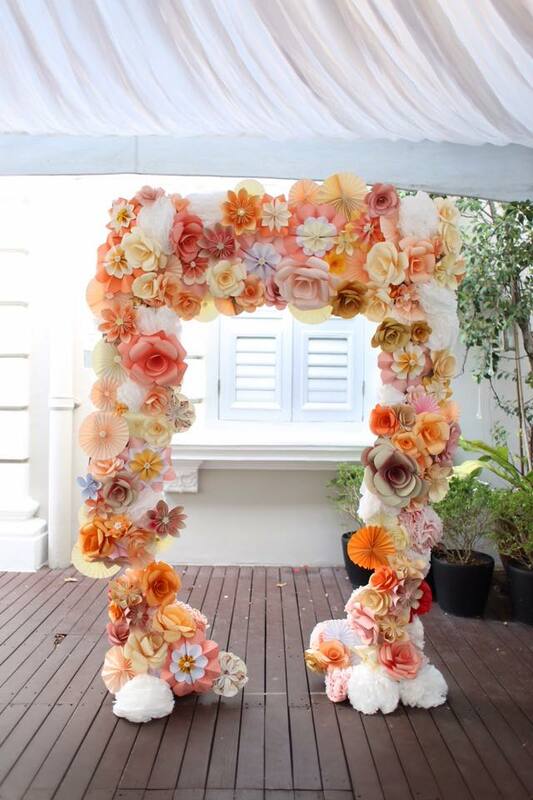 2015 will be a great year for everyone of us here at Rosette Designs & Co, and we had a great start!